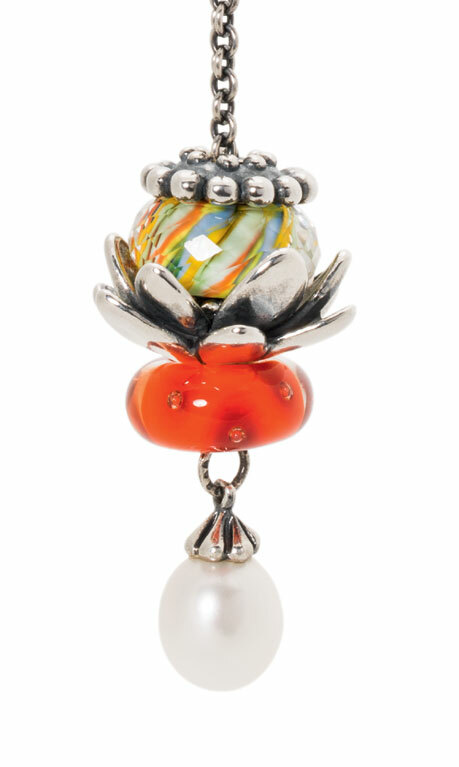 Trollbeads 2014 Autumn Release is Outstanding! I always get excited when a new release comes out but this one has me beyond excited. This is an outstanding reminder of why we all collect the ultimate bead brand in the world and it is why I am so proud to be a dealer of such a fine brand. Trollbeads has an authentic spirituality and this is unseen in any other brand and there is beauty to the artistic philosophy that dictates its bead releases. 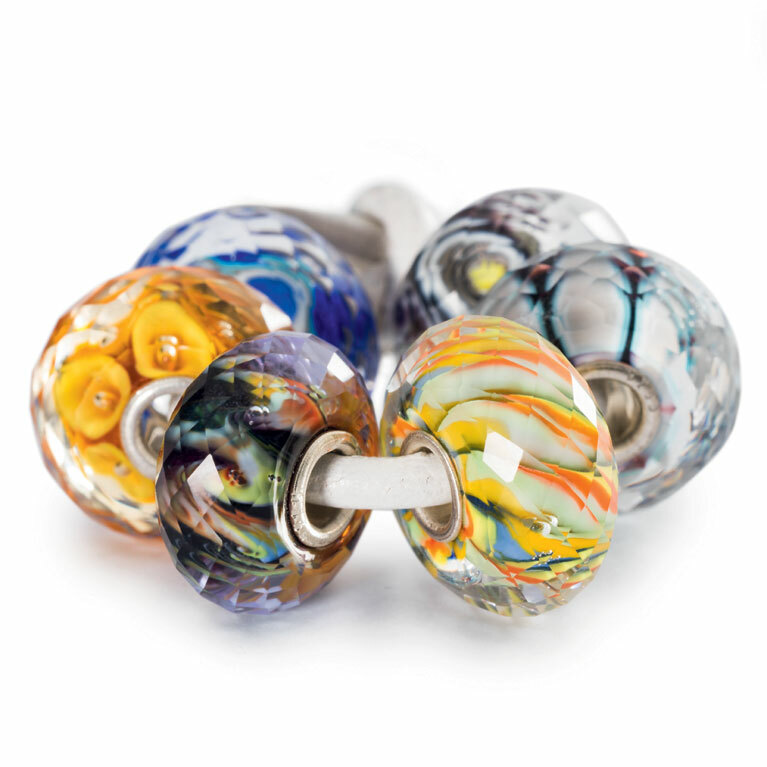 The 2014 Autumn Trollbeads release has everything from great new silver beads to outstanding glass including a whole kit of faceted glass beads. * There is a new lock and are two new leather bracelet colors. There are also two new Precious Stone beads adding to their already deep offerings of incredible natural stone beads on offer. They have even offered us two new Fantasy Chain pendants. The chain below has all new beads on it and the new lock,the Spiritual Temples Lock. The entire collection is based on the Eastern meets Nordic themes. Through out the collection you will find wonders of Eastern Spirituality and Northern Woodland delights. Encompassing the Nordic woodlands are two new animal beads the Fawn Trollbead and the Little Bear Trollbead. Two great new members to the Trollbeads animal family. The Eastern Facet Kit, shown here has a wealth of new looks for us with hidden treasures deep inside each glass bead. The facets highlight the designs and show them to us through many tiny fractured surfaces. As with all the glass Trollbeads kits when you purchase glass beads in kit form you get a free bead. So when you buy this kit of 6 beads the price is $280. You will save $56.00 and all of these beads will be excellent additions to your collection! The other glass kit that has come out with this collection is the Northern Forest Kit. If you purchase this kit you will save $34.00. The colors are rich and vibrant and will be fun to work with in so many Trollbeads designs. The two new Precious Stone beads are definitely worth seeing and I can't decide now which one I will like better! The Brown/Yellow Chalcedony Faceted stone is organic and warm and each one will be totally unique. This will be a great addition to my "Trollbeads With A Twist" category where I photograph and list each bead so you can see what you are buying! 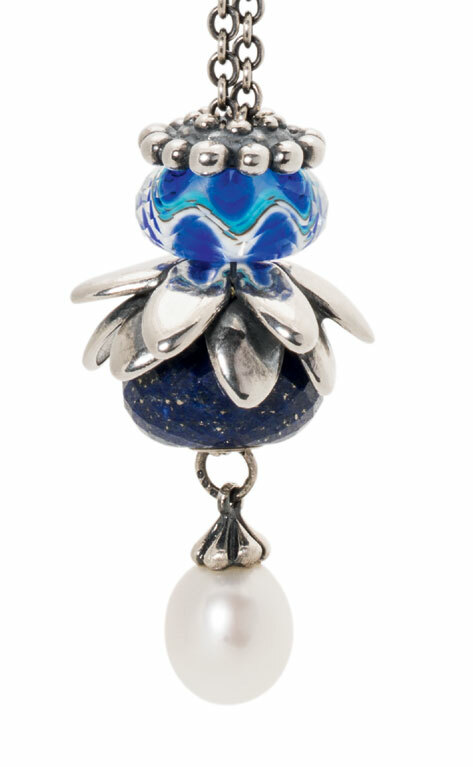 The Lapis Lazuli Faceted stone bead is a rich blue and so many of us Trollbeads collectors love blue! Definitely click on the link and see them! Along the Eastern Spirituality theme the Trollbeads designers have given us two new Fantasy pendants and one that can be worn in two directions, up or down! As shown below! Look at the Giant Lotus Pendant and make sure it is on your "must have" list. 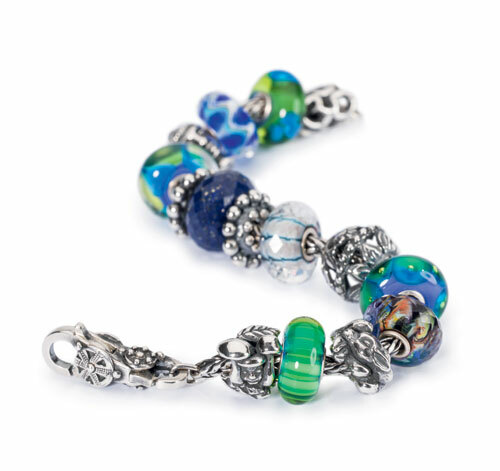 Look how creative you can get with this new Trollbeads Fantasy Necklace Pendant! I am looking forward to experimenting with one when they come in!